Scientist Stephen Hawking died yesterday aged 76 - he had stayed strong and pursued his dreams of a being scientist. Diagnosed with “amyotrophic lateral sclerosis” when he was 21, he was not expected to make his 25th birthday. Stephen Hawking was also famous for his films and his inventions to let him talk move around and pursue his dreams. The news has saddened everyone and we interviewed people around school to see what they thought. Mrs Maynard, Attendance Officer said “It was so incredibly sad and he didn’t let his disability stop him. We are very lucky to have him in our history and he pursued his dreams as a scientist. Stephen Hawking is a incredibly kind-hearted man and will always be loved and forever in our hearts." Mr Allcock said “I was so shocked to hear that he had died and I would have liked to have met him in my lifetime to see how his condition didn't stop him from doing things he loved." Miss Hemetsberger said "It was amazing how long he lived. He lived for 44 years longer than the doctors said and I find that amazing. If you put your heart to it you can live longer than anyone believes you can”. Hawking once said “Never look down at your feet and always look up at the stars”. It is amazing that he still has that positive mindset. Mr Hawking was such a inspiration to everyone and everything and if he was not here we would not know this much about science. He was such an incredible man and we have learnt so much from him. If you are feeling down, have a look at how far Stephen Hawking has come. As he said, you should always look up at the stars and never down at your feet. Stephen Hawking will always be remembered. Recently, it has been recorded in local school that teachers and education are not getting enough money. More and more of our generation are choosing the rich, safe option whilst teaching is gradually becoming a lower option. Of course, this is not a good thing because how will our future learn with not enough teachers? I’m here at Hinchley Wood Secondary School to find out what their teachers think. What do you think about lack of money in education? Mrs Berry, from the Maths Department, said “I think they need to put more investment into education because it is the right of any child to have a good learning life, no matter what background”. Mrs Strevens, Head of English, said “The main problem for me is recruiting good staff because we can’t offer as much money as we would like to so that they can live in the area. This means they often go to a school which offers more money. Also, we can’t afford loads of new resources for all of the children”. Miss Lillico, Head of Media Studies, said “I think it causes a huge amount of problems particularly for the less traditional subjects because they often get left at the side lines”. What effect does this have on education and teachers? Of course, if you go for a job, you will need the money to live and sometimes, teachers leave schools simply because they need more money. As quoted above, it means finding staff is tricky, so to run a school is truly hard work. Also, the lack of money affects learning because teachers do not have the equipment they need for lessons so the lesson isn’t always as good as it could be. Former Russian spy Sergei Skripal, aged 66 was attacked earlier this week by what we think would be other Russian spies. 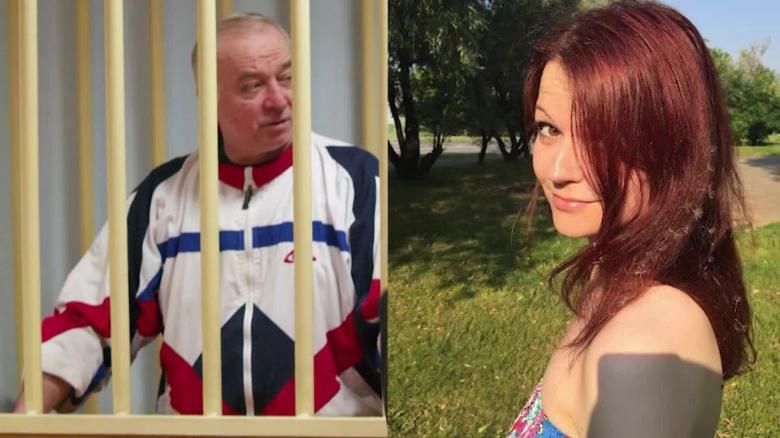 Sergei Skripal is said to be, by Boris Johnson, in a “critical but stable” condition. Sergei and his daughter Yulia, aged 33, were attacked with a harmful poisoned chemical that is part of a group of nerve agents that were developed by Russia known as Novichok. Britain suspects that Russia is behind the attack and are calling upon their allies to act with them.Theresa May has now expelled 23 Russian diplomats in response to the attack. America has backed Britain in this instance as well as France. In response Russia has expelled some UK diplomats in retaliation for Britain’s response to the poisoning of Sergei Skripal. Now we all know how confusing Brexit is, so here are some ways of explaining Brexit easier. How the EU was made: In the old days, countries were forever having wars. They soon decided that a better way to express their feelings was through selling each other coal and steel and then later, through long, boring documents. This was how the EU was made. What happened in June 2016: the old Prime Minister, David Cameron, asked Britain if they wanted to leave the EU. 52% said they did so that was that. We were due to leave to EU. Eventually. Let’s say that the EU is a big group of friends that want to do everything together. However Britain decides that it is tired of the EU and wants to be friend with countries like China, America (independent countries). Although sometimes that isn’t a great option because it could end up lonely. But hey, the EU did make Europe a lot better. There were no wars, equal pay for women, rights for the disabled, transport, jobs and study. The only thing is, the EU doesn’t always explain their ideas very well. They use fancy language like “comitology”, “aquaculture” and “macroeconomic imbalance procedure”. Miss Lillico, Head of Media Studies, said “I think we are living in uncertain times where nobody really knows what will actually happen when we really leave”. There has been outrage as people have found out that the fire doors at Grenfell tower have failed basic safety tests. Grenfell tower which housed roughly 600 residents caught fire on the 14 June 2017 killing 71 people and injuring 23 more. A recent test from the Met Police has found out that the fire doors at the block of flats were made poorly and kept the fire away for half the time they were meant to. The doors were meant to last half an hour but only lasted 15 minutes. The police have stated that have these doors been working properly, the firemen could have saved a lot more people. Many people have been shocked and troubled, especially the people living in flats like Grenfell, by the thought of these doors not working well. The makers of the doors, which were installed in 2012, are ashamed and have since been taken by a new company.